The Hawaii State Senate passed SB 232 today by a vote of 19 to 6. 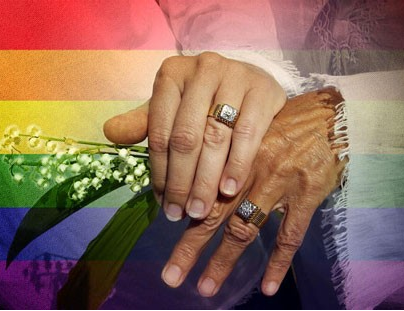 The bill, which establishes civil unions in Hawaii, would grant unmarried couples more rights and benefits including tax benefits. The bill has been extremely controversial in Hawaii with both sides rallying for an against the bill over the last two years. Those 6 voting in opposition today include Senate Democrats Wil Espero, Mike Gabbard, Donna Mercado Kim, Ron Kouchi and Donovan Dela Cruz and Senate Republican Sam Slom. Those 19 in favor include Senate Democrats Roz Baker, Suzanne Chun Oakland, J, Kalani English, Carol Fukunaga, Brickwood Galuteria, Josh Green MD, Clayton Hee, David Ige, Les Ihara Jr., Gilbert Kahele, Michelle Kidani, Clarence Nishihara, Pohai Ryan, Malie Shimabukuru, Malama Solomon, Brian Taniguchi, Jill Tokuda and Glenn Wakai and Senate President Shan Tsutsui. The bill now crosses over to the House where it is expected to pass. Gov. Neil Abercrombie, D-Hawaii, has pledged to sign the measure.